This post will cover installing GlassFish 3.0.1 on CentOS 5.x. 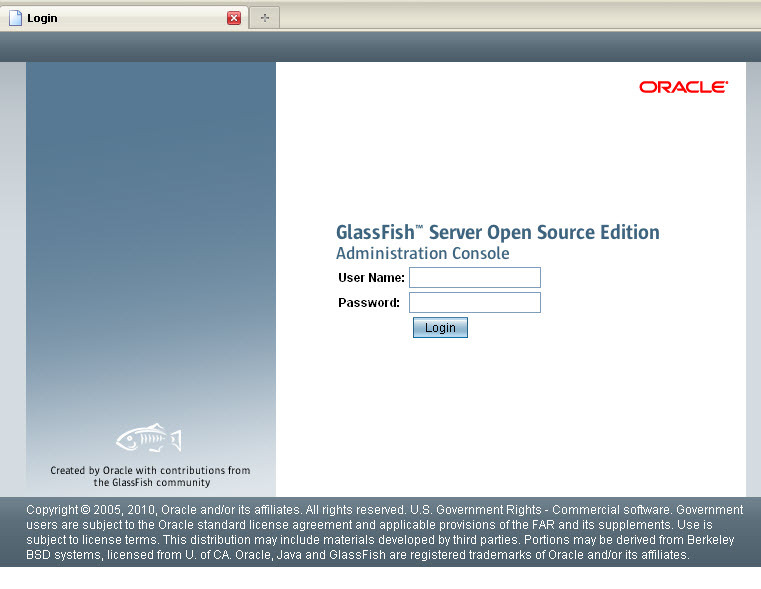 GlassFish 3.0.1 is available two editions. GlassFish Server Open Source Edition 3.0.1 (free) and Oracle GlassFish Server 3.0.1 (supported and requires paid subscription). I installed both using the same process below on CentOS 5.5. This post is intended to get a basic installation of GlassFish 3.0.1 up and running. Please consult the documentation. To set the JAVA_HOME for users, we add below to the user ~/.bashrc or ~/.bash_profile of the desired user(s). We can also add it /etc/profile and then source it to give to all users. Once you have downloaded the desired file, move (mv) or copy (cp) the file to /usr/share/glassfish-3.0.1.zip (or /usr/share/ogs-3.0.1.zip for Oracle GlassFish). 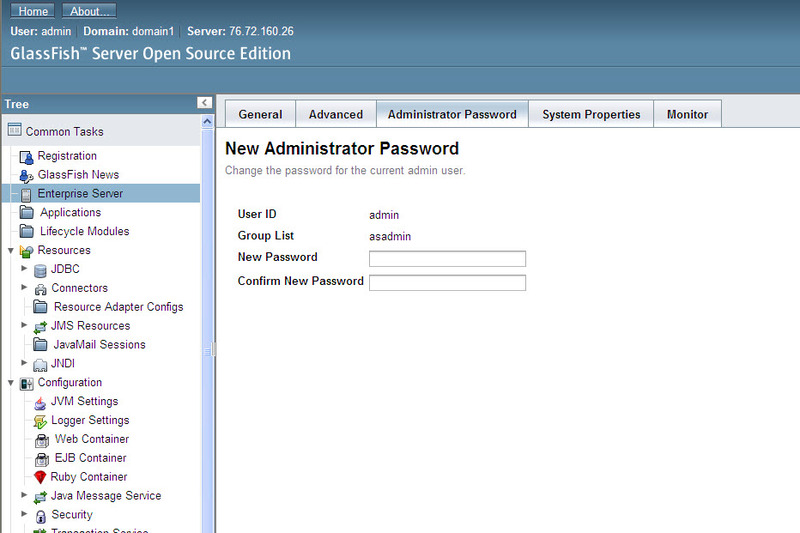 Step 4: Access GlassFish Admin Console. 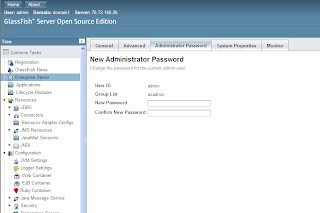 Previous to 3.0.1, a default password 'adminadmin' was used. 1. Click "Enterprise Server" on the tree. As you can see above, I can now use $GLASSFISH_HOME rather than the full path of /usr/share/glassfishv3/glassfish. Step 5: Running GlassFish with Minimally Privileged (non-root) User. Step 6: Running GlassFish on Port 80 as Non-Root User.